YOU Boston is excited to introduce our new Deputy Director, Ricky Grant! Ricky takes over the position following the resignation of former director, Freddie Velez, who provided 16 years of dedicated service to the agency before moving on to pursue his dream of joining the Boston Police force earlier this year. Under the direction of the Mayor’s Office of Workforce Development, Ricky will manage the development and implementation of programming for case management services, transitional employment and career services, alternative education and out-of-school youth programs in collaboration with City, community and law enforcement agencies, and Boston Public Schools. In collaboration with our network of partners, he will ensure YOU Boston/FYOB is increasing the employment rate for 14-to 24-year-old court-involved/high risk youth throughout the city. He will also assist in securing new resources, developing new partnerships, and improving the service delivery systems of the programs. Ricky graduated from Northeastern University, with a Bachelor of Science in Organizational Leadership. He brings with him an impressive 17 years of experience in program design, curriculum development, teaching, case management, grants management, supervision and overall management of supportive programs for undeserved communities in Boston. 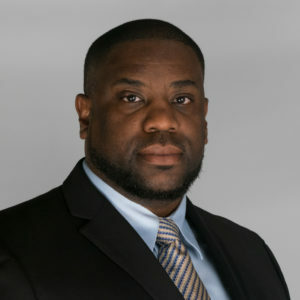 Prior to joining the YOU Boston team, Ricky served as Director of the Boston TenPoint Coalition where he supervised, designed, implemented, and evaluated gang mediation strategies. He founded and served as Executive Director of Rescued Church, was the Director of an educational and workforce training program at Roxbury Community College, and managed various programs over the years that recruit, train and empower community residents. Ricky also maintains strong relationships with community organizations, educational institutions, faith-based institutions, city agencies, and law enforcement entities to coordinate quality services for young people and “returning” citizens. YOU Boston staff are excited to enter into this new chapter of agency development, and are looking forward to working under Ricky’s leadership and strategic vision for the future. Welcome to the team Ricky!